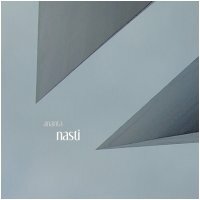 With Nasti, Ananta's first release on Earth Mantra, the artist has created a collection of dark textural ambient pieces perfect for deep contemplation. The music moves slowly but with a very strong purpose, not unlike molten lava slowly rolling down the side of a mountain, consuming everything in its path, yet spawning fresh new life in its wake. This release by Polish ambient artist Ananta continues an idea the artist explored in his previous release Voids, Distances available on the Rain netlabel (visit http://www.useirecords.ovh.org for more information). For more information about Ananta, please visit the artist's site at http://www.anantamusic.dl.pl. Here we are some three years later, and this body of work is as fervent as ever. Indeed, after re-visiting Nasti by Ananta this morning, I was reminded that it was this release on Earth Mantra that introduced to the sound world of Martin Dot and subsequently his work as Aairria. Deep, moving, oceanic...beautifully introspective.